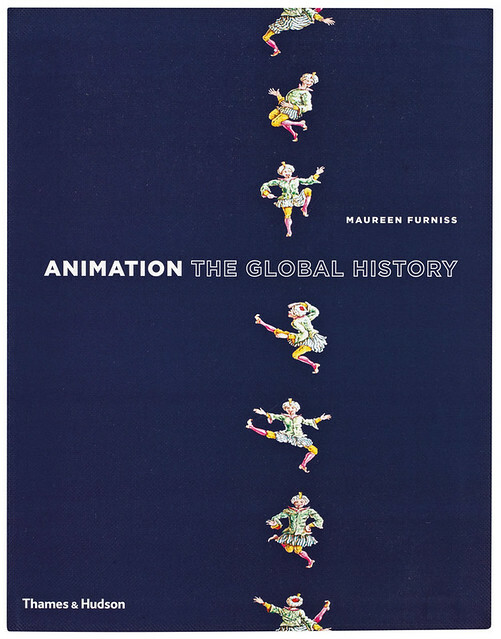 In her preface, Maureen Furniss tells it how it was: ‘In twenty years of teaching animation, I have never found one book that covered all the aspects of history I wished to present.’ This book, one assumes, gives us all those aspects. The story begins in the early nineteenth century, with devices such as magic lanterns, the thaumatrope, the phenakistoscope, and the zoetrope, all disks imprinted with sequential images and spun to create the illusion of animated movement. The photographs of Eadweard Muybridge and the special effects of Georges Méliès are covered before animation begins with Émile Cohl and the brilliant Winsor McCay in the years prior to the First World War. There is a fundamental challenge about making a book on animation illustrated by still frames, and I’m not sure it has been overcome here. The stills from McCay’s seminal Gertie the Dinosaur (1914) look penny-plain and inert on the page, whereas Little Nemo in Slumberland, his 1906 comic strip in the New York Herald, writhes with graphic cross-rhythms. The former shares its movement with other absent frames, while the latter gives us all its snap and crackle in one. A surprise in these early chapters is the appearance of Madame Blavatsky, the eminence grise behind Theosophy, the occult philosophy that influenced artists including Kandinsky, Scriabin, Lovecraft and Mondrian. 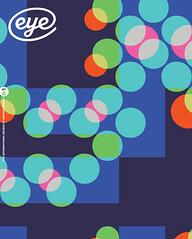 She stares theosophically at the camera as she considers Kandinsky’s synaesthesia and the future of modern art. It is that sort of story. Sensibly, the author has decided to chop up this thickly wooded narrative into six parts: ‘The Origins’, ‘Early Animation’, ‘Wartime and Mid Century’, ‘Experimental Modes’, ‘New Contexts and Voices’, and ‘Animation Worldwide’. Each starts with a timeline and the chapters conclude with a summary, notes, and a list of key terms, obviously with students in mind. But for the general reader there are treasures aplenty. In the third part, for example, we learn that the Disney studio, when it wasn’t courting Latin America with The Three Caballeros, was contributing to the war effort with Four Methods of Flush Riveting for the Lockheed Corporation. Part 4, ‘Experimental Modes’, covers the 1940s to the 1970s and brings us the abstractions and experimental techniques of Canada’s Norman McLaren as he explored new ways of creating images and sound. Computer-assisted animation began against a background of designer Peter Max’s psychedelia and the unbuttoned Robert Crumb, whose Fritz the Cat was made into a successful feature by Ralph Bakshi. McLaren’s Canadian contemporary (and my old boss) George Dunning directed Yellow Submarine, the animated Beatles feature designed by Heinz Edelmann with a screenplay from Erich (Love Story) Segal. The chapter on the impact of computer games in ‘New Contexts and Voices’ shows the speed of technological development. Pong (1973), PacMan (1980), Donkey Kong (1981), and the Nintendo Gameboy (1983 – and looking positively Edwardian now) lead to Lara Croft and Tomb Raider in 1996 and the Oculus Rift Headset in 2012, which revealed the worlds of virtual and augmented reality. An examination of the effects of computer animation on feature films (The Iron Giant, Toy Story, etc.) precedes the final part covering the global scene. Japanese animation emerges, we are told, from a tradition of illuminated scrolls that gradually developed into manga. Akira, for instance, was a manga comic, later adapted into an animated feature brimming with post-apocalyptic graphic violence. A similar production, Ghost in the Shell, was adapted into a live-action version currently playing in the UK. The gentler creations from Studio Ghibli, My Neighbour Totoro, and Spirited Away, reach a new level of expression entirely. Their central characters have an affecting universal vulnerability set amid a disturbing but beautifully judged surreality. Cut to the Annecy Festival, France, 2005. I’d been talking to a tall American in a giraffe hat who was promoting a clutch of animated shorts. He was Spike Decker of Spike and Mike’s Sick and Twisted Animation, and his previous promotions included early films from John Lasseter (Pixar) and Nick Park (Aardman). Later I came across one of Spike’s earlier clients, talking to a rapt circle of young fans about The Nightmare before Christmas. It was Tim Burton who, with that movie, had attracted a whole new generation to animation, which will help sustain further chapters of this Global History. The chapter on electronic games reveals the growth of this strand of animation, and potential future developments, making a vital and possibly unique addition to the canon. But the book sets out its stall in the cloisters of academe, and completes its historical mission with functional but seldom exciting art direction and an unswerving tread. Chalk dust before stardust. Cover for Animation: The Global History designed by Turchini Design. 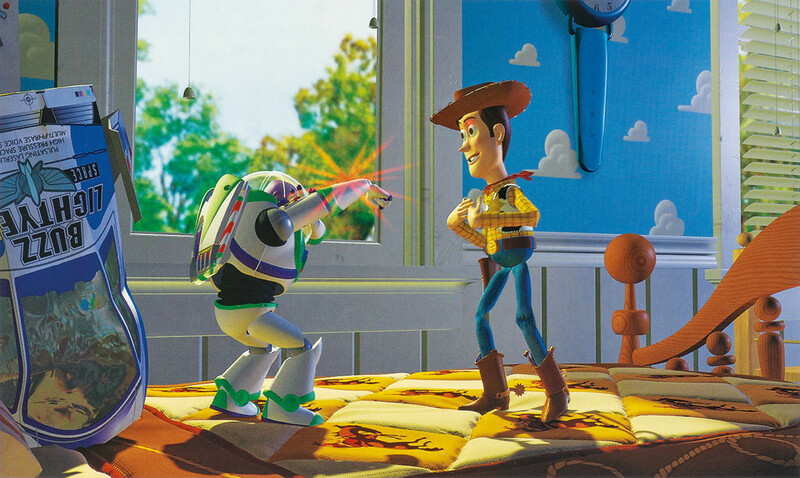 Top: Image from Animation: The Global History showing a still from Toy Story, 1995, directed by John Lasseter.